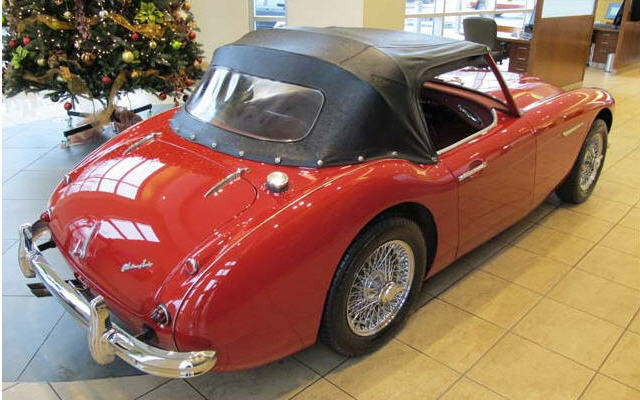 In May of 1961, BMC upgraded their flagship Austin Healey 3000 model with three SU HS4 carburetors, modified valve springs and a new camshaft. 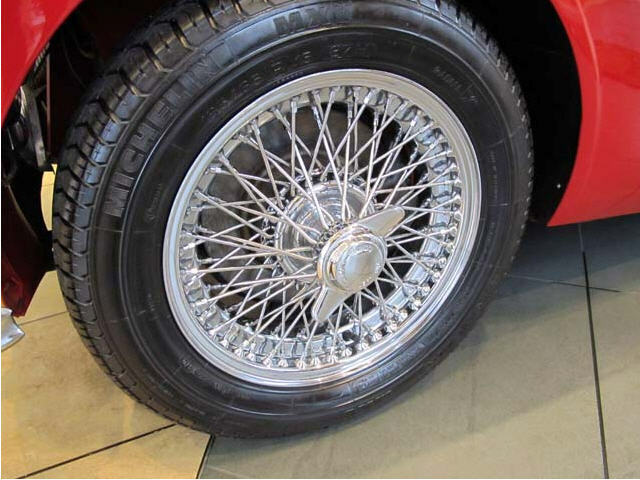 Called the MKII, it was an alternative to the Triumph TR3A or Jaguar E-Type. 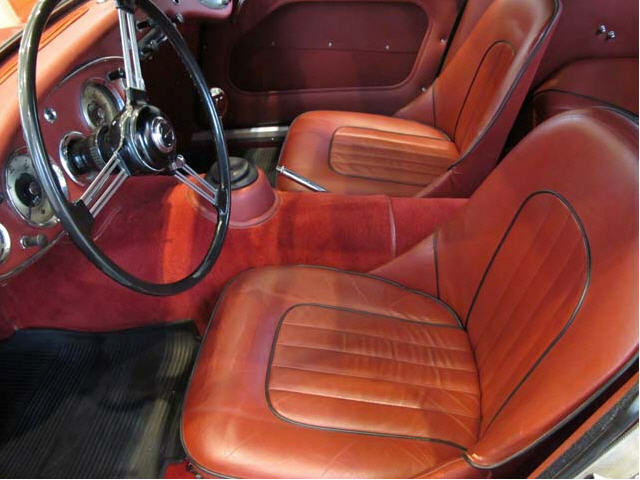 This potent combination was produced from March 1961 until January 1962, making this a sought after vehicle. 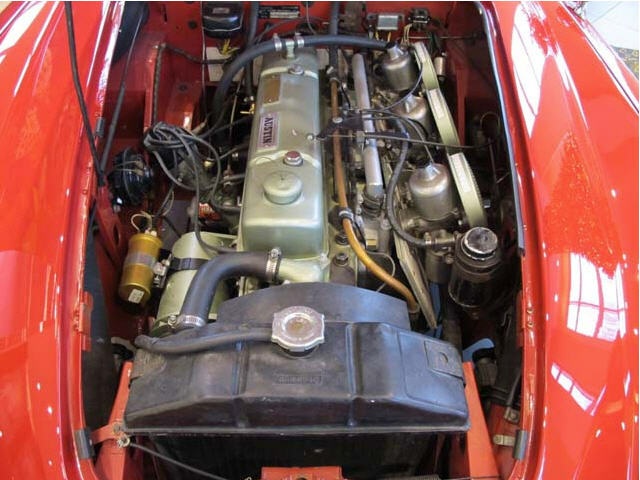 A 3000 MkII BT7 with hardtop and overdrive tested by the British magazine The Motor in 1961 had a top speed of 112.9 mph (181.7 km/h) and could accelerate from 0–60 mph (97 km/h) in 10.9 seconds.). 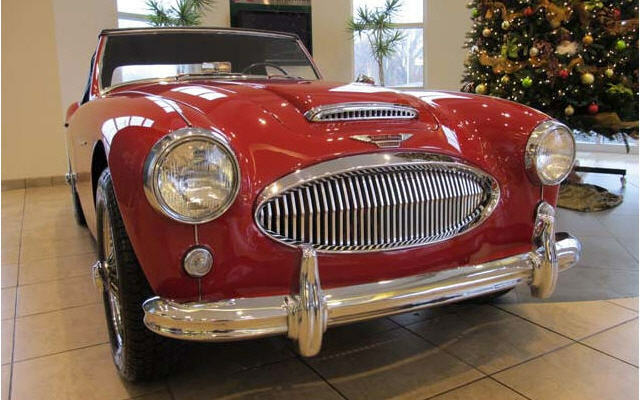 This Austin Healey is a sports car purist’s dream. 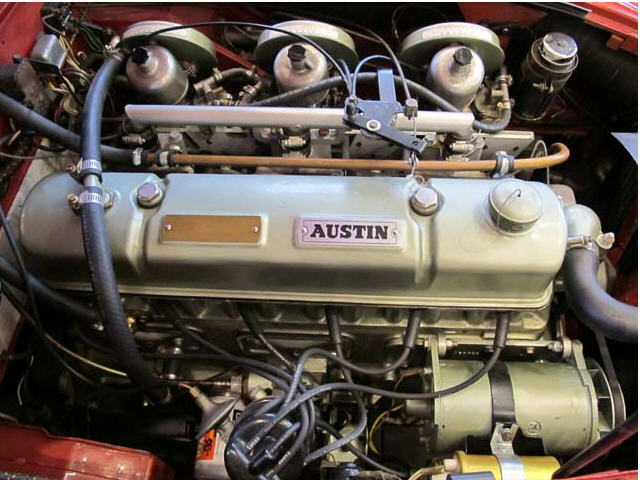 The previous owner purchased this vehicle in 1991 and painstakingly restored it from the bottom up. 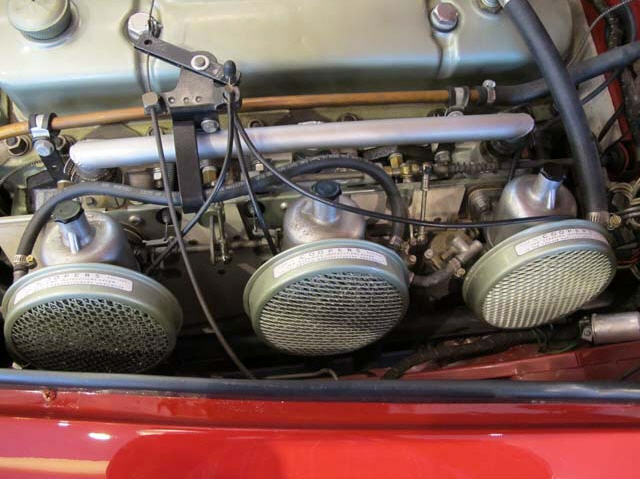 The engine was completely rebuilt six years ago, and retains its original numbers, which match the body and chassis. 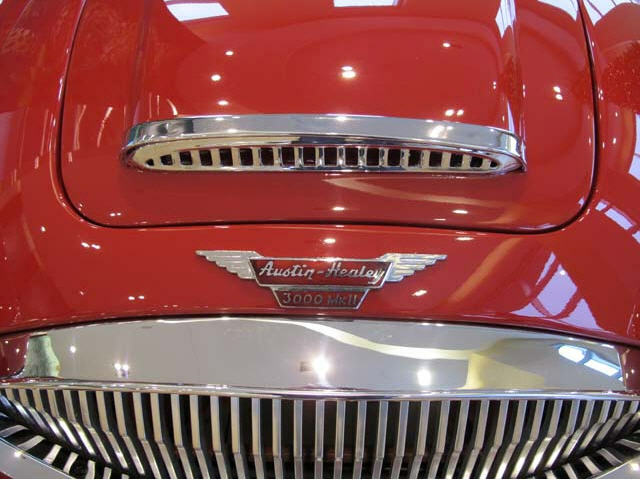 We have the vehicle’s Heritage Certificate at the dealership for you. 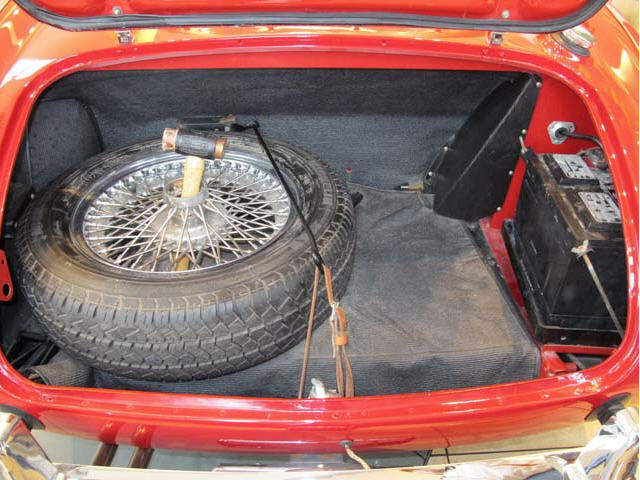 Everything on this vehicle is faithful to original production except the wheels, which were replaced with the traditional 72-spoke wire wheels as the original 48-spoke wheels tended to have issues for Austin Healey owners. 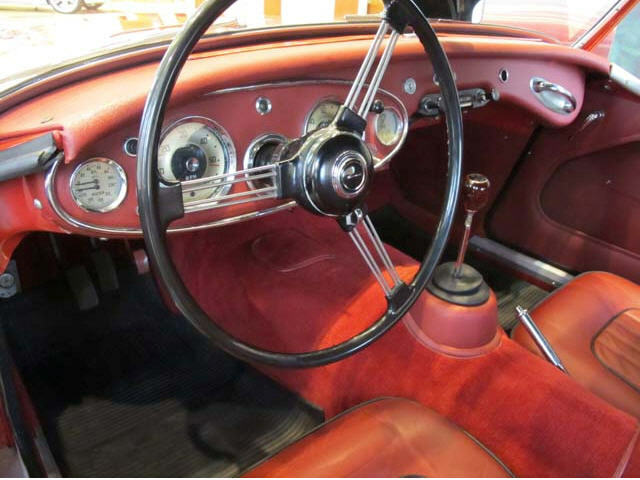 Dressed in a stunning Colorado Red exterior, this 3000 Mk II has an equally impressive interior with matching red leather seats and door panels. 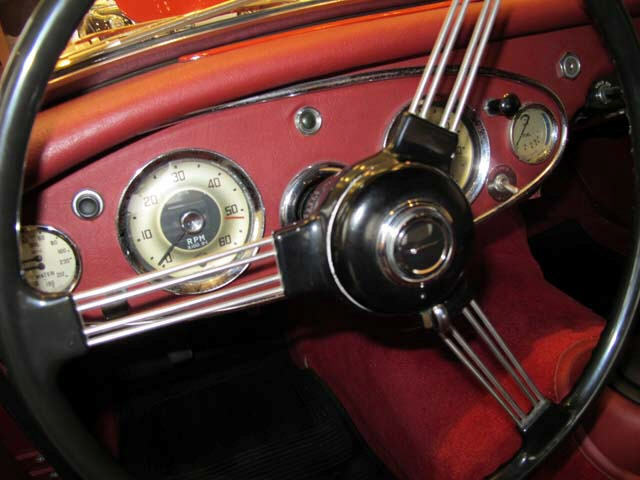 The vertical chrome grille makes a statement and is accentuated by the generous chrome trim around the headlamps, hood intake, mirrors, bumpers, and wire wheels. Beauty is in the details with red carpets, red dash treatment, and the extremely desirable center-mounted top loader shifter. 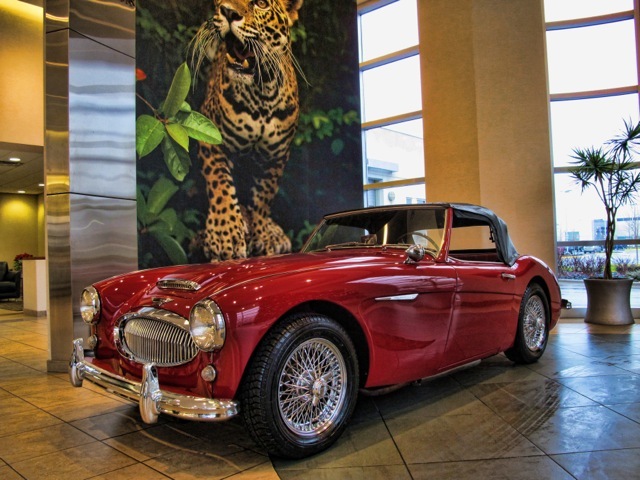 This beautiful roadster has 844 miles since it’s complete rebuild. We are a premiere authorized Jaguar and Land Rover dealership who has specialized in pre-owned British marques for over 40 years. 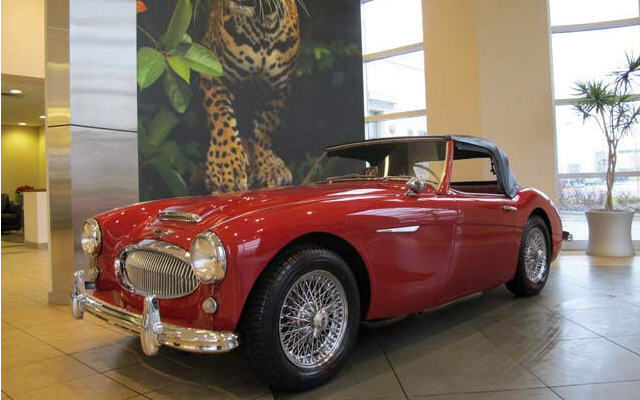 Click here to view the 1962 Austin Healey 2000 Mk II on YouTube.